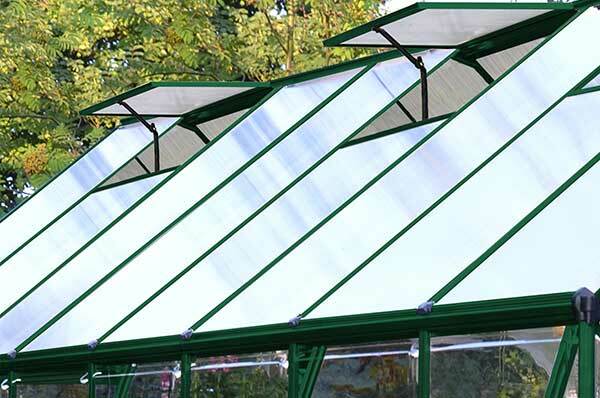 The Kudos series greenhouse brings hobby gardeners the best of both worlds; advanced light management through two different polycarbonate panels and a durable 8’ foot wide frame perfect for your backyard and growing needs. 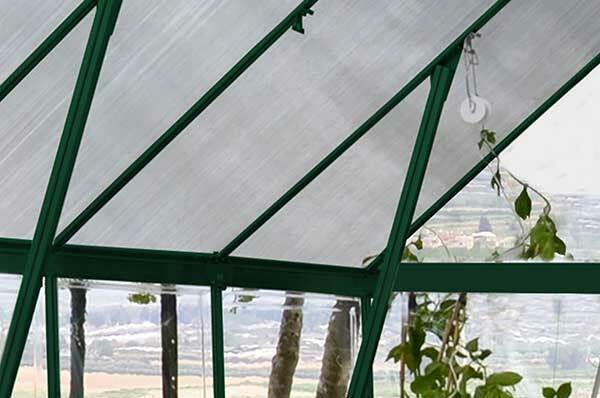 A healthy head-start on your growing season begins with effective light management through, Twin-wall polycarbonate is the leading choice for quality hobby greenhouse coverings because of its durability, light diffusing properties and heat retaining ability. The twin-wall roof panels on the Balance block 99.9% of harmful solar UV radiation and create a system of even-light in your greenhouse. Even-light helps maximizes plant growth and eliminates the risk of plant burn and shade areas. Crystal clear polycarbonate side panels are equally as durable and provide over a 90% transmission of light. 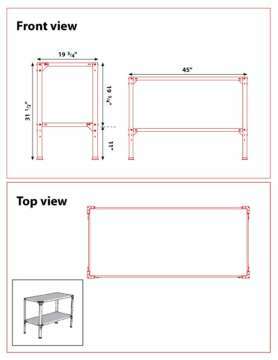 With an 8’ wide frame and four available lengths, you are able to customize the perfect hobby greenhouse. Corrosion resistant and durable, keep your focus on growing and not maintaining. 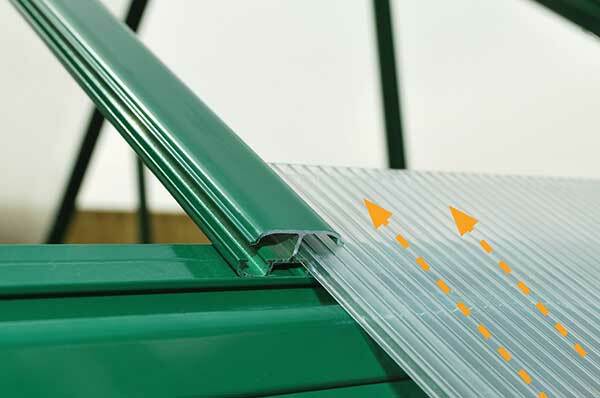 Other features include integrated rain gutters to channel water for sustainable irrigation and roof vents to help moderate air flow and temperature to maximize growing conditions. A 5 year limited warranty and US based customer support will give you piece of mind. Frame: Aluminum, Rust resistant aluminum frame powder coated green. 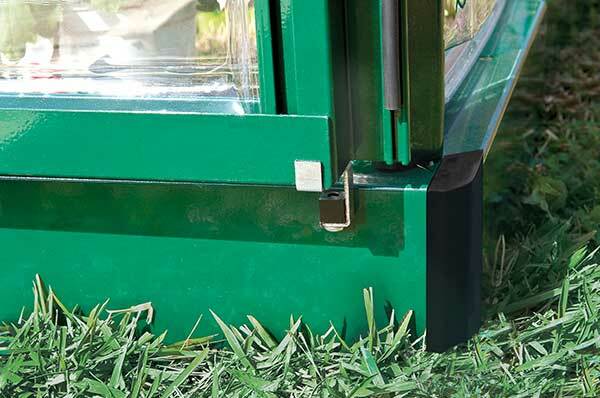 Shelf Kit: Durable, light-weight shelf system attaches quickly to frame inside the greenhouse. Can easily be re-positioned for changing needs. 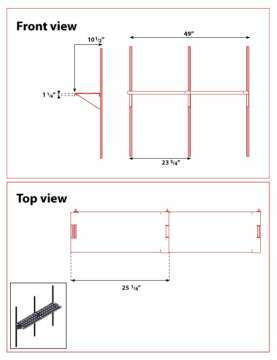 Includes two 10" x 24" overlapping shelves per kit. Shelving System: The new galvanized, two-level shelving system is perfectly sized to fit inside our hobby greenhouses to help you create a well organized growing space. Galvanized Potting Bench: The new galvanized potting bench is designed to be the ideal compliment for your hobby greenhouse or patio.44" w x 24" d x 44"
Shade Kit: Reflective, 40% shade, aluminum coated shade cloth is installed to the greenhouse interior. Can easily be re-positioned for changing seasons or crops. Plant Hangers - 10 count: Simply insert into roof rafter channels and twist to install. Use to install shade and also designed to hold standard hanging baskets or pots.